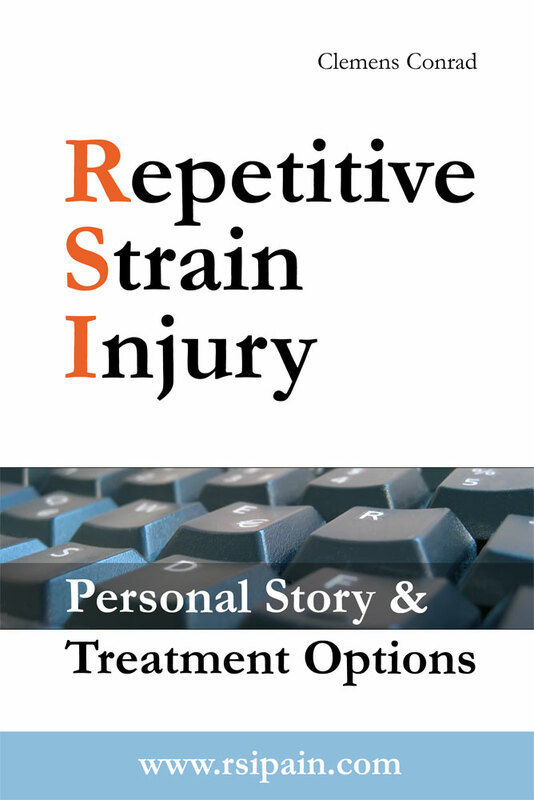 My goal with this website is to educate people about RSI and to help fellow sufferers. Therefore I'm happy about every RSI article in blogs, newspapers, magazines, radio, TV etc. If you want to publish a review of my book in a newspaper / magazine or on your website / blog, I will gladly send you a free review copy. Just write me your name, the name of the newspaper / magazine / website and your postal address via e-mail. After publication please send me the URL or a PDF file of your article. To illustrate an online article appropriately, you are welcome to use any image I created for website. The condition is that you do not remove the watermark (the light gray URL) and mention this website rsipain.com in your article. Only the first four images below can be used without a watermark. Print media can request any image without a watermark in a higher resolution (as long as the URL rsipain.com is mentioned in the article). The pdf files can be printed out and stuck on the wall next to the photocopier or on the bulletin board at school / university / your company etc. Have you found another article which mentions my website/book? Please send me an email. Thank you! 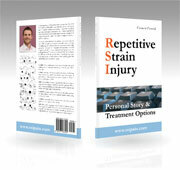 "...it covers a lot and would be very helpful to many people with RSI. (...) Definitely recommended!" 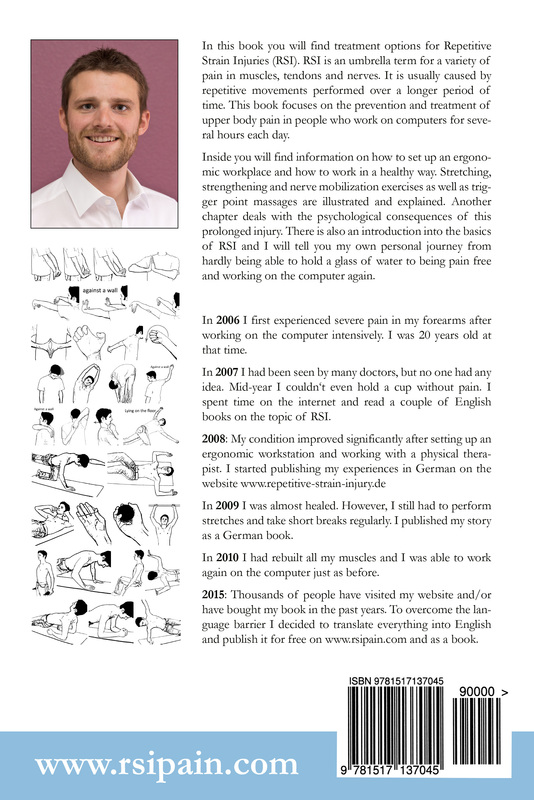 "Clemens has created a wonderful plan benefiting any repetitive stress injury sufferer." "...there is much of value in this small tome, and it is great that it is offered for free online"